Earlier this year, YouTube’s biggest star sparked controversy after Disney severed ties with him over jokes about Jewish people and Nazis. 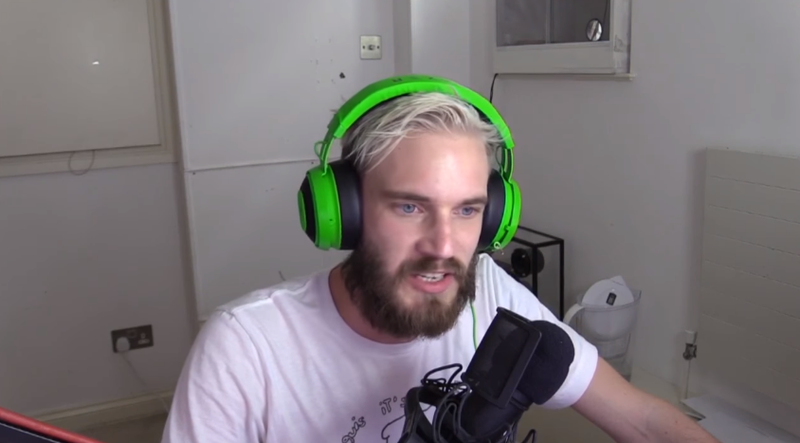 At the time, Felix ‘Pewdiepie’ Kjellberg apologized but continued to make many Nazi references in defiance to the outrage. Months later, Kjellberg says he has a different perspective about those jokes and says he’s no longer going to make them. The “this” he is referring to are the events in Charlottesville, Virginia, when torch-wielding white supremacists held a rally that got violent and resulted in a counter-protester being killed. Like many of us, Kjellberg watched in horror, and in a recent vlog update, he says that the events at the rally made him reconsider his approach to humor. “It sort of gave me a little bit of perspective, because technically I got grouped in with these people somehow,” Kjellberg said. Charlottesville, Kjellberg implied, made him realize that white supremacy is not just an edgy internet joke, but an actual thing that people have to deal with. So, he says he’s giving up the tired shtick. In response, he has supporters online commending him for the statement, skeptics saying surely he had to be aware of the evils and reality of Naziism all along, and disappointed fans who seem to believe he is giving in to overly sensitive critics.